← Children’s Librarians Needed to Beta Test Promising New Kids eBook Platform! That blue light coming from your iPad might be keeping you awake. Just before bedtime, the light emitted from iPads and other screens can keep you — and your kids awake. This article from The Telegraph explains the reasons why. So while we love the iPad for educational fun and stories, bedtime isn’t the right time. The article hints that at least 2 hours before bed, all screen use should stop. What does that mean? It means you can sing together, play some quiet games, and read books. Books printed on paper. You know, the old-fashioned kind that emit no light other than what your imagination shines onto them. So grab a stack of your favourites, or get yourself to the library and check out a big pile of books to share at bedtime. 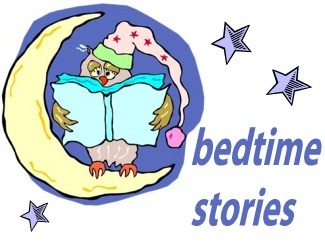 To help you choose some good books, I’ve created a list of fun bedtime stories (though I think just about any book can serve for bedtime). Don’t forget about those chapter books, too, for your listeners who are ready for a longer read-aloud experience. The whole family can get in on those chapter-book read alouds. Here’s my list – enjoy! Posted on November 17, 2012, in eBook, iPad, Literacy. Bookmark the permalink. Leave a comment.